If anybody understands the difficulty in keeping a content marketing campaign afloat, it is me and the team here at Sanctuary Marketing Group. I’ll be candid right here at the start. Most anything that falls into the category of what marketers call “long-tail” efforts are difficult. We live in a generation that wants everything now. If we were honest, we want today’s marketing tasks to provide yesterday’s results. That is why a long-term marketing, the type of marketing that actually puts a dent in search engine results, can be so difficult. 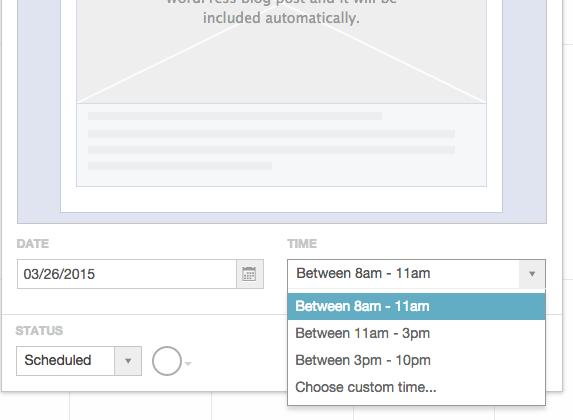 CoSchedule is a tool that makes content marketing a whole lot easier. At the most basic level, CoSchedule is a calendar in which each member has their own separate access. Below is a screenshot of how simple it is to create a blog post, a social media message, an event, a note for your team, or a task for a teammate. 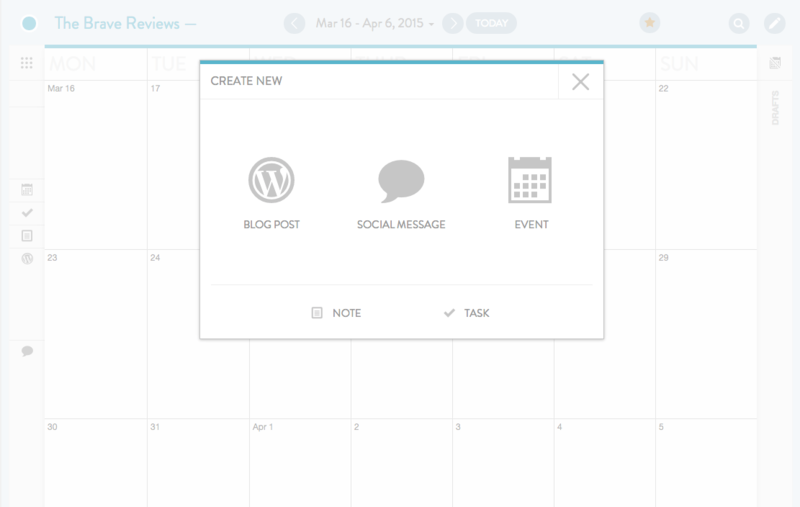 All WordPress options, such as categories, tags and formatting, are available from the CoSchedule platform. What is more, an unlimited number of social media accounts can be connected! If you are a fan of employee advocacy (i.e., you leveraging your employees to advocate for your brand) than you can have each of them schedule blog posts and website pages for their own personal media channels right alongside your business’ content! Brilliant! Now a quick note on how powerful the social media platform is. You can write and preview your post right inside the calendar! Script a post for multiple channels at the same time as you quickly add text and imagery (even sync up your Bit.ly and Google Analytic accounts). 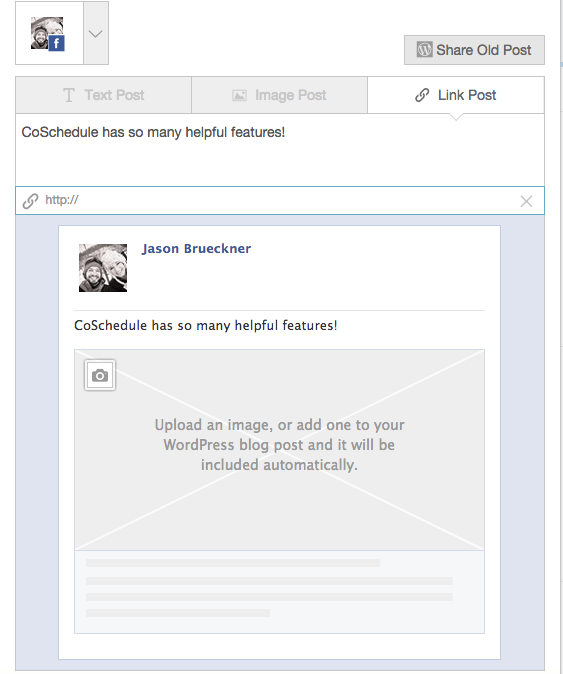 If the page you are sharing already has that data tagged, CoSchedule will gather all of that information. The options are endless. You queue up random posts and assign tasks to your teammates and much, much more. If you are working on a content-heavy website or marketing campaign, you have got to check out CoSchedule. The power in the simple CoSchedule platform plugin is unmatched.